T-Mobile MVNO Ultra Mobile has added more data and/or more international destinations to all its plans. Ultra's $44/month Data Plus plan now comes with 4 GB of high speed LTE data, up from 2.5 GB. The plan also includes unlimited voice minutes to the US and 11 other countries (list), unlimited domestic MMS, unlimited domestic and international text messaging and unlimited data throttled to 128 Kbps after the first 4 GB per month. Ultra also added unlimited calls to 28 additional destinations, including Bangladesh and the Dominican Republic, to their International Plans priced at $29 and up. The international plans now include unlimited calling to landlines in 55 countries and mobile phones in 26 (list). The $34 Data Plus plan now includes unlimited calls to to 11 countries instead of 1000 minutes to 10 countries. The table below compares all of Ultra's plans. 1 Plus taxes and fees. For airtime purchases directly from Ultra, these include government fees and taxes, such as sales and use taxes and Federal Universal Service Fund Fees. These taxes vary with the user's location. For airtime purchases from 3rd parties, Ultra adds a "cost recovery fee" of 50¢ on airtime loads of $10 or less and $1 on airtime loads of $10.01 or more. 2 Click here for a list of included countries. 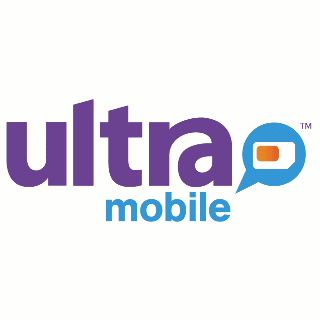 Ultra Mobile now available @ 6000 US 7-Eleven Stores. Kind of pointless. due to the ubiquity of 7-11 and the lack of such for T-Mobile. I was at a 7-11 this morning, in fact, and saw Ultra Mobile cards for sale, despite the fact that due to T-Mobile's poor coverage compared to other networks, there's no T-Mobile anywhere near. "Ultra Mobile has added more data and/or more international destinations to all its plans" except the $19 plan. Ultra could have matched PTel's $20 plan. Does Ultra Mobile have voice/text roaming in the areas where there is no T-Mobile coverage? There's no roaming on Ultra, T-Mobile native coverage only. Hi Dennis, which prepaid service have International Roaming (not just Canada, Mexico) at low rates? There are many "travel SIM" or "global SIM" companies that offer roaming in many countries. Truphone seems to have the best prices for most countries. I have used Truphone SIM for 3 years now, and really like them. CS is excellent, and since they lowered their rates (the best, overall), I am porting my regular number to them. You pay the same, low rates to and while roaming in 8 Truphone countries. No new SIM card is required. Incoming calls and texts are free. Just discovered your site. Like it. Thanks. Regarding $19 plan, Ultra offers free voice to 11 countries. Which are those 11 countries......have looked over for these specific 11 countries here and at Ultra's site. Could not find it. Do you think you will be able to unbox those 11 countries for folks like me. Got it - those 11 countries! There is so much noise around the specific information. You may ignore it. Or, if you can show them here rather than pointing to Ultra's site. Thanks....you may ignore my previous post. Ultra Mobile lowers international rates.